It’s Olympics time! Skiing, ice skating. Okay, I’m not talking about the Olympics. I’m talking about writing. About your books or the book you’re currently working on. Your book is one in a world of Olympian books. Don’t be afraid of going for gold. If you’re like me, you spend most of your free time writing or looking for ways to promote your books. In addition to all that you’re already doing, spend a little time researching book awards. You know your book’s genre, so find out if there are contests for your genre. Then research what it costs to enter your book. Find out what you’ll need to do in order to enter. Keep a file on your computer where you can store information folders on each contest. Of course you have to decide if you can afford entering. Do you believe your book could win? Do you know the genre of your book, in case the contest separates books by genre? Once you enter your book, forget about it. It won’t do any good to check the webpage every day. If you win, you’ll be notified. Why is entering contests something you should consider doing? It can really hurt if your book is rejected or doesn’t place, let alone win. But if you do win, it’ll make you dance around your office. Or is that just me? 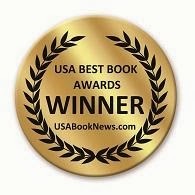 I entered Angel Sometimes, my latest book, into a contest, the USA Best Book Awards in the New Age Fiction category. And I won. You can do that, as well. 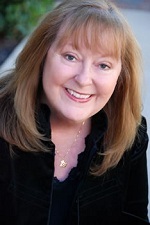 Helen Ginger is an author, blogger, and the Coordinator of Story Circle Network's Editorial Services and writing coach. She teaches public speaking as well as writing and marketing workshops. In addition, her free ezine, Doing It Write, which goes out to subscribers around the globe, is now in its fourteenth year of publication. You can follow Helen on Twitter or connect with her on Facebook and LinkedIn. Helen is the author of 3 books in TSTC Publishing’s TechCareers series, Angel Sometimes, and two of her short stories can be found in the anthology, The Corner Cafe. Her next book, Dismembering the Past, is due out in Spring 2013. First, congratulations on winning the USA Best Book Award. That's a great accomplishment, as well as an excellent marketing tool. I personally know two winners of Writer's Digest Awards, one of whom took first place in the young adult category a few years ago. I also am acquainted with another winner of several book awards. Why mention these winners? Because they exemplify that winning is a goal for all of us to realistically work toward. So let's get out there and shake the contest bushes to find what's out what's coming up. Then let's get our books in the best shape they can be, dress them in the finest covers, and let them strut their stuff. I love this post, Helen. It's a great reminder of the potential we may be ignoring. And as for not winning, some contests offer critiques — information that may help us receive that coveted prize for our next book (or the revision of the one that didn't quite make the grade this time). Linda, I like those "prizes" for not winning. That's great! Congratulations! And thanks for all the info about this. Janet, I believe they're already taking entries for the next year. In the romance world, it used to be all about the contests, for both published and unpublished authors. For the unpublished, the prize (regardless of whether there was an actual "award") was always getting your pages in front of an agent or editor. I entered, won a few, finaled in a lot more. As a published author, I still gravitate toward the romance-oriented contests with my romantic suspense books. Smaller playing field, better odds. And I did win the HOLT Medallion for Best Romantic Suspense, and finaled in several others. But whether any readers have heard of these, or if it makes my books more visible--I doubt it. However, "Award Winning Author" stickers on my books look cool. Terry, I don't write Romance, but even I've heard of the HOLT award. Congrats! Incidentally (on another note) I have no idea how that cover got put into my post. It definitely is not the cover of Angel Sometimes. Hi all. I've put up the correct cover for Angel Sometimes. I entered the Writer's Digest SP contest. I didn't win but I did get five out of five stars for plot and character for Mythikas Island. It's a good way to get feedback. Just be wary of high entry fees and what they promise they can do for you. There are a lot of legitimate contests, but always do your research. Haven't heard of the Writer's Digest SP contest, but five out of five stars sounds pretty dang good! I agree about doing your research. Helen, I'd be happy with bronze ... that is, if I had the gumption ... and $$$ ... to enter a contest in the first place. Now, Christopher, I do believe you have the gumption to enter and the books to win. Congratulations, Helen! It certainly doesn't hurt anything to enter contests...for sure you won't win anything if you don't! Go for the Gold!! Incidentally, I put up the correct cover for Angel Sometimes. Helen do you think it was worth the $69 entry fee for this particular contest? How have you used your win in marketing your book? Hi Kelly. I thought it was worth the cost. I found out I'd won only a few days ago so I haven't started trying to use the award image to market. One glitch was that with the win you can get stickers to put on the book showing that your book won. Unfortunately, the site is out of stickers and won't have any until summer. I have put an e-sticker on my website and in my sig line on emails. I tried to put it on Amazon, but can only put a line saying that Angel Sometimes won the award. I would rather have put the sticker image. I used to do a lot of contests, mostly from RWA. Won some, finaled in some. I did place second overall in the Daphnes. I probably could have capitalized on that longer than I did, but after that year, 2010, I didn't. I just entered a screenplay contest, which I have little or no chance of even placing, but it was a challenging experiment and I learned a lot. I also might enter a book in another contest. Just for the hell of it. The worst that can happen is nothing.